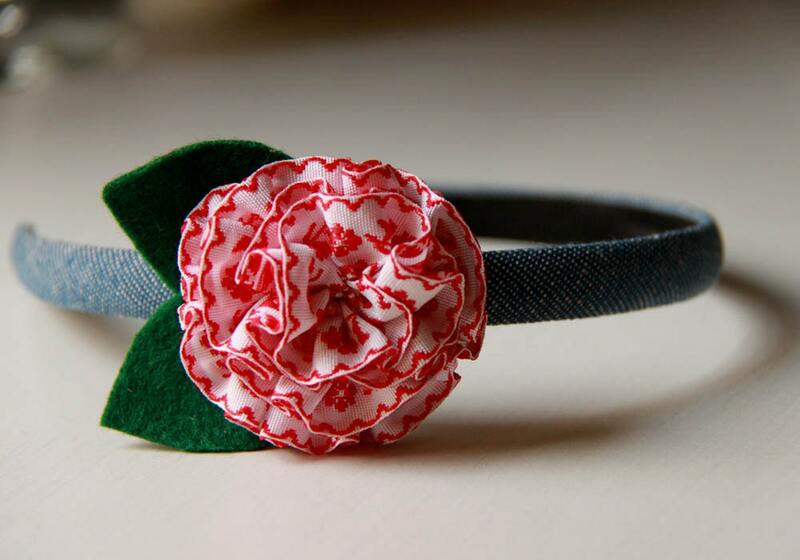 This handmade ruffled flower hairband is made with red on white embroidered ribbon, attached to denim wrapped hairband. Leaves are made with green felt. I love the embroidery on the ribbon. Makes it so child like. Suitable for 2.5 years onwards depending on size of child's head. For overseas delivery: Please email me for details.